Thanks to newer formulations, skin toner today isn’t the astringent artifact of your teenage years that you remember in burning, stinging detail. Nor is it a frivolous skincare ​accoutrement (though some toners do overpromise). Somewhere between plain water and an essence, toners prep skin after cleansing by rebalancing pH and allowing later skincare products to permeate better. Nowadays, toners also come with a host of active ingredients to fight hyperpigmentation, smooth out texture, melt away dry patches, and even brighten. To help you choose the right one, we’ve rounded up the top toners, from a multitasking pick for oily skin to a cult classic whose pungent smell (and results) will make you do a double take. Waiting lists usually indicate hype more than anything, but this toner has sold out over and over again for good reason. Overall, it preps skin incredibly well for everything you’re layering on top. This brightening, soothing, moisturizing toner relies on a mix of licorice, peony, and green tea extracts to clarify and plump up skin. This gentle acid toner fulfills two important criteria: It works very well without odd side effects, and you can snag it for a bargain. The Ordinary’s Glycolic Acid Toning Solution comes in a generous 240 mL size (the Acwell toner, to compare, is 150 mL) with an equally appealing ingredient list. On the other hand, the Pixi Glow Tonic, another (pricier) glycolic acid toner, comes in a slightly better formulation. The peach-colored Glow Tonic comes in a simple plastic bottle with gold lettering that makes the toner feel a little fancier than the usual drugstore fare. The solution itself leans on the watery side. Despite the glycolic acid, the Glow Tonic is gentle enough to be mistaken for a regular toner. After the initial tingling dissipates, that’s it. There’s no rawness or dry flakes, only softer, brighter skin. The multitasking Beauty Water acts as a cleansing water, gentle (emphasis on gentle) exfoliant, and cleanup crew for eyeliner gone awry, but it’s most helpful as a toner for oily skin. Running very watery, the lightweight Beauty Water wipes away dirt and oil without stripping skin. This Korean toner really only does one thing and one thing only—hydrate—but it does so very, very well. It acts as a moisture magnet, which anyone dealing with dry, flaky skin will appreciate. 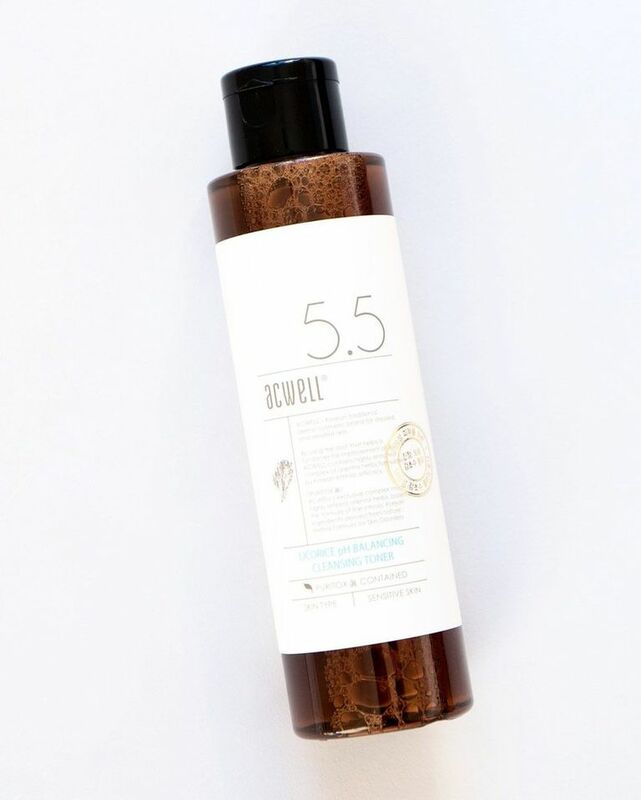 The Energy-Boosting Toner contains tremella mushroom, otherwise known as snow mushroom, a fluffy white fungus that can hold 500 times its weight in water. Glycerin and butylene glycol feature high on the ingredient list as additional humectants that deliver a swift dose of moisture. One look at this toner’s ingredient list should win you over. it’s comprised of soothing, hydrating, skin-repairing actives rarely seen all together. The first ingredient, aloe ​barbadensis, contains vitamins A, C, and E, and fatty acids to help fight redness and acne. You might recognize the others: Hyaluronic acid, salicylic acid (a skin-clearing BHA that’s also anti-inflammatory), and snail mucin: a sticky secretion full of proteins and antioxidants that’s also helpful in treating acne. Given the extensive amount of writing about the Lotion P50, it’s tempting to say it’s overhyped, but it’s a cult classic for a reason. The Lotion P50 is known for its awful smell which, paradoxically, underpins a rite of passage. Once fans see the results, they quickly get past the odor. Oddly enough, the Lotion P50 isn’t necessarily a toner — it’s just often used as one. In any case, it regulates pH, hydrates, controls sebum, and brightens thanks to a potent mix of AHAs and BHAs, plus onion and vinegar. The spa-only P50 comes in seven versions. It does take some research to pick the right version. The original version, “1970,” and the gentler reformulation both come in three strengths. The seventh version targets hyperpigmentation in sensitive skin. If you’re still lost, you can get your skin assessed at Rescue Spa, or fill out a form online. Our writers spent 40 hours researching the most popular toners on the market. Before making their final recommendations, they considered 16 different toners overall, screened options from 15 different brands and manufacturers, read over 60 user reviews (both positive and negative), and tested 3 of the toners themselves. All of this research adds up to recommendations you can trust.